The project included the construction of a Combined Heat and Power Plant, pre-treatment/recycling area, incinerator bottom ash recycling area and ancillary offices. 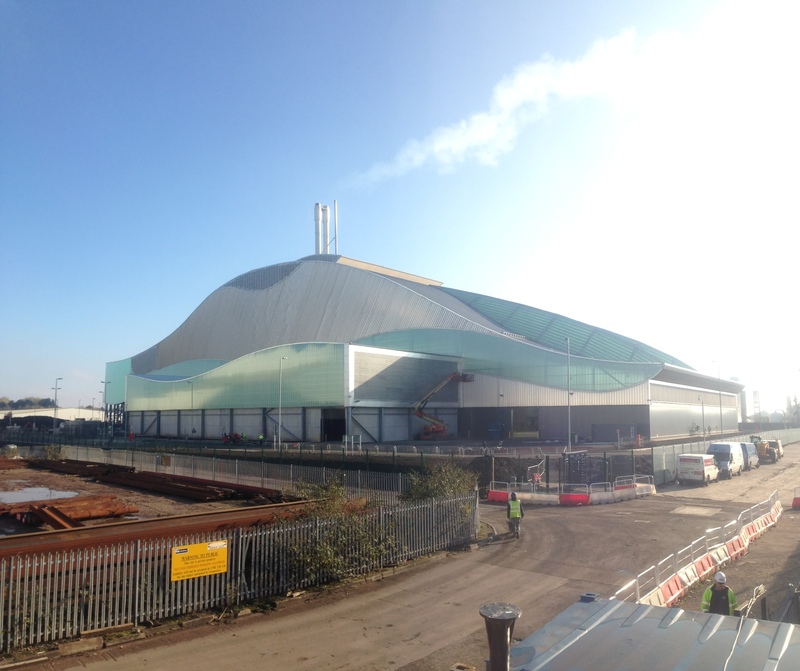 The fully commissioned plant will process up to 350,000 tonnes of non-hazardous residual waste per year (residual waste being that which remains after the removal of materials for reuse or recycling either at source by householders). The waste will be burnt at temperatures of up to 850°C and the energy generated will be used to produce electricity for export into the National Grid. It will also produce heat for use in local businesses which is seen as a more efficient use of the fuel source than electricity generation. The generator within the plant has the ability to produce approximately 30 Mega Watts of electricity, enough to power some 30,000 homes. 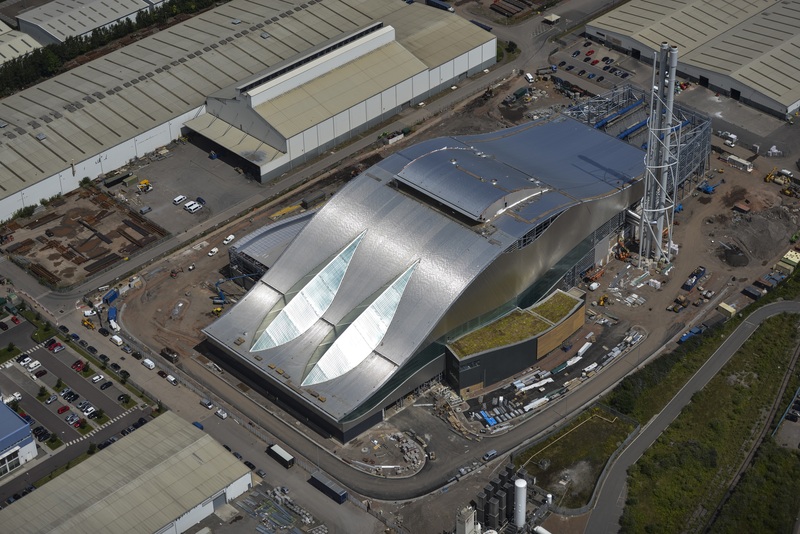 The offices, workshops, and visitor centre are all integral parts of the main EfW building. They are located on the southern side of the operational building to assist with solar benefit. The overall length of the facility is 214m and up to 68m at its widest point. The highest point is 46m to the top of the ‘fin’. This building has been designed to integrate with Cardiff’s landscape and architecture. The only external elements are the weighbridge / gatehouse and the chimney stack. There is no outside storage, handling and/ or processing of any waste: all waste deposited within the building. 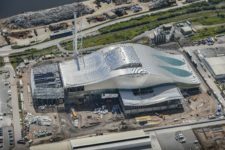 We were specifically responsible for the design, construction and commissioning of all the civil related aspects of the project. This includes all piled foundations, reinforced concrete substructures including ground slabs, waste bunker and chimney stack foundation. It also includes all superstructure concrete reinforced works i.e. Tipping Hall, remainder of the waste bunker, turbine and electrical hall and bottom ash area. 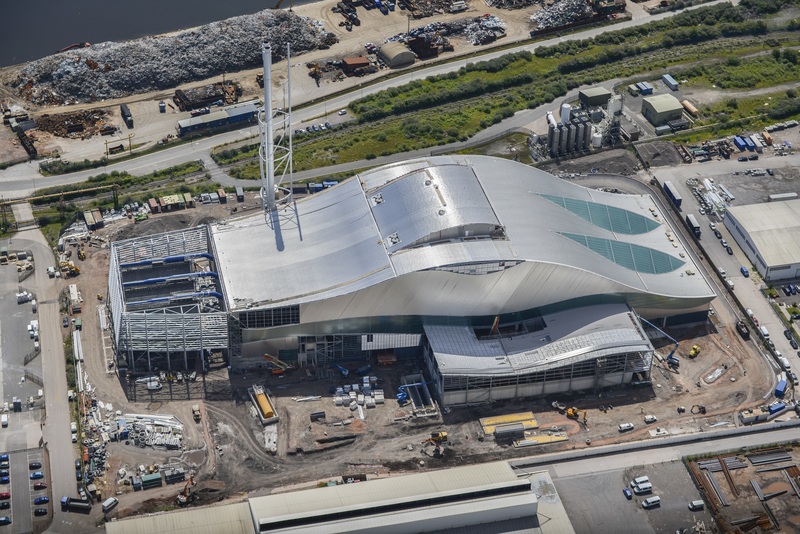 The structural steelwork which supports the entire envelope of the plant and the waste bunker was also under Charles Brand's remit as was the ultimate enclosure of the plant once the process plant had been installed. This took the form of industrial standard standing seam and rain-screen cladding materials. Within the plant, Charles Brand had the responsibility of constructing, installing and commissioning the process lift and for all the fire-stopping works within the inside of the process plant. In addition, Charles Brand was responsible for the entire construction of a steel-framed Administration Building and Control Room. All of the external works were Charles Brand’s responsibility which included a network of paved roads, drainage, the construction of a new roundabout and extensive earthworks and landscaping. We celebrated the achievement of working one million man hours without a lost time accident (LTA) during the construction of the facility. 600+ employees were working on the site at the peak of construction from a wide range of trades, all ensuring that the facility was delivered safely and on schedule.